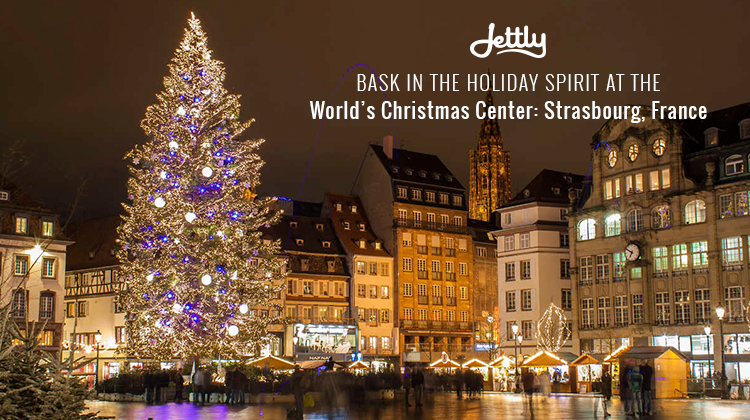 In its 2,000 years of existence, the city of Strasbourg, France has cemented itself as one of the world’s most beloved Christmas capitals. 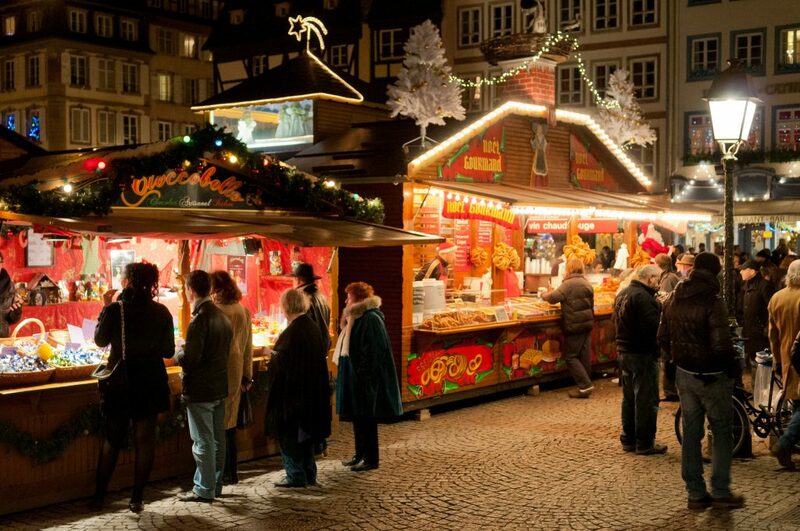 As the center of one of the largest Christmas markets in Europe and home to a unique history that is parts German and French, the “town at the crossroads” boasts of an intimate charm present in every well-adorned chalet and colorful kiosk. And it carries an appeal, as you might think, that is quite becoming of the holidays. If you do find yourself in Strasbourg during the Christmas season, make the most out of your stay with these activities. Head on to the Musée d’art Moderne et Contemporain (Museum of Modern and Contemporary Art) for the A Laboratory for Europe, Strasbourg 1880-1930 exhibition, which explores the rise and evolution of the decorative arts during that period, as well as the various influences that have made it possible. The exhibit is one of the many included in the Laboratory for Europe, Strasbourg 1880-1930 event, which brings together select museums around Strasbourg to examine the role of the city as a testing ground of various European cultural encounters. It runs from September 23, 2017 to February 25, 2018. Afterwards, pass by the Musée Alsacien (Alsatian Museum) for Angeknipst! Clic-Clac! Before-and-after pictures from the Alsatian Museum (1904-2017), a photo series that exhibits Strasbourg landscapes in the early 1900s, and what they look like now, more than a century after. The result is an introspective side-by-side exhibition of the Alsatian region in the years that have passed. Then, go to the historic Palais Rohan (Rohan Palace) for a taste of its architectural prowess. As one of Strasbourg’s most important landmarks, the Palais Rohan is home to some of the best Parisian architecture in the 18th Century, built during the time of French annexation. While there, take a visit to the Musée de Beaux-Arts (Fine Arts Museum) for the Wilhelm Bode, ideas in action exhibit, which looks into the vision of the German museum director who established the Strasbourg collections as they are known today. You can also pass by the Galerie Heitz for an exhibition on the Locations of music-making in the city, which celebrates the city’s rich musical history. Both exhibits are part of the Laboratory for Europe, Strasbourg 1880-1930 event. Finally, head to the Bibliothèque Nationale Universitaire (National and University Library) for Néogothique!, an exhibit showcasing works from artists during the rise of neo-gothicism from the 1880s to the 1930s. 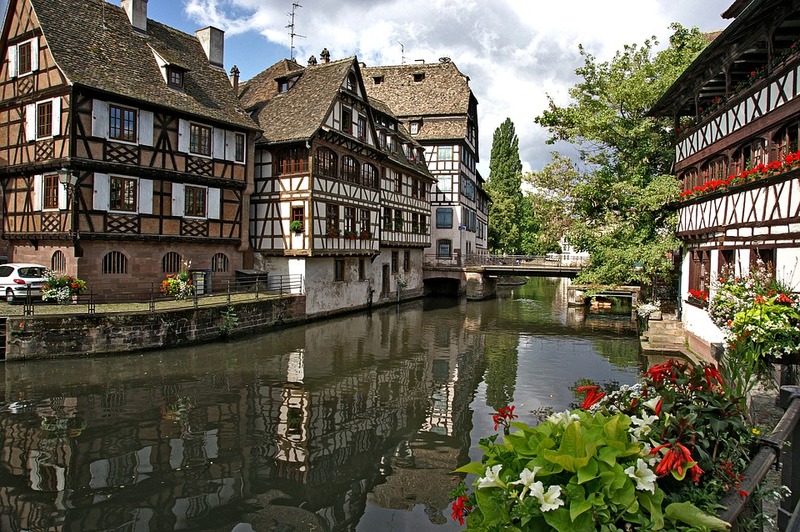 Having been one of the more prosperous European cities during the Middle Ages, Strasbourg continues to carry a connection to the medieval – one that has captured the imagination of artists and scholars alike. Catch the exhibit from September 16, 2017 to January 28, 2018 to learn more about the city’s medieval roots. 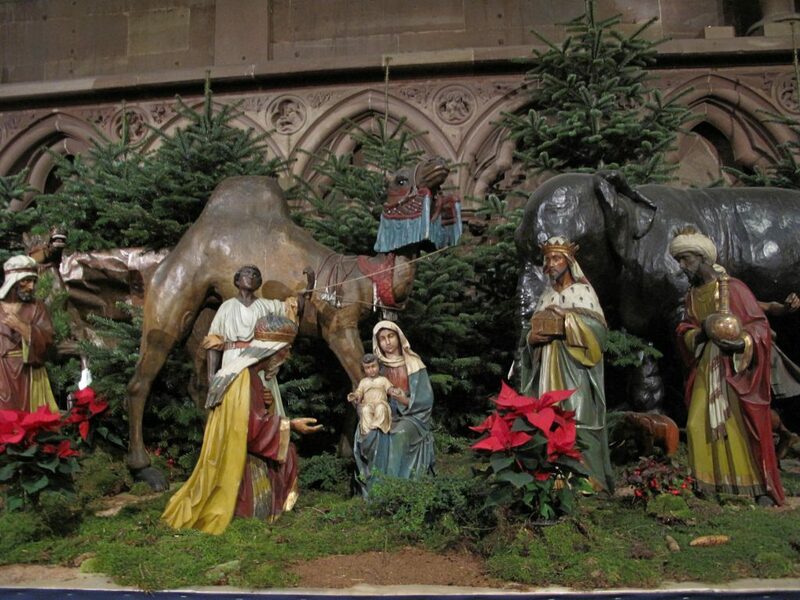 An installation that spans the biblical stories of the Annunciation, the Nativity, the Adoration of the Magi, and the Presentation at the Temple, the nativity scene at the Cathédrale Notre-Dame de Strasbourg (Strasbourg Cathedral) is panoramic in scope, lining itself across the well-crafted gothic walls. Catch it from November 25, 2017 to February 4, 2018 for a unique take on an age-old Christmas tradition. Afterwards, feel free to stay and take in the cathedral’s famous architecture, such as the rose window and astronomical clock. Take a stroll down La Petite France for a spectacular, light-filled view of one of the city’s most picturesque districts. Home to Strasbourg’s famous chalets, La Petite France transforms during Christmas time, with ornaments scattered across the roads and beautifully decorated chalet balconies. Then, head on down to Place Kléber to see Strasbourg’s 30 Meter Christmas Tree, awe-inspiring in its scope and pleasing in its visual power. This year’s tree decorations take inspiration from the city’s local traditions, incorporating motifs such as bredeles and apples. With all its charm and allure, Strasbourg is no stranger to the many visitors who come to admire its sights, which can make it difficult and expensive to secure a flight to the city come holiday season. With Jettly, however, you’re sure to have a selection of private charter flights at your disposal, with much lower fares. Submit a flight request now.